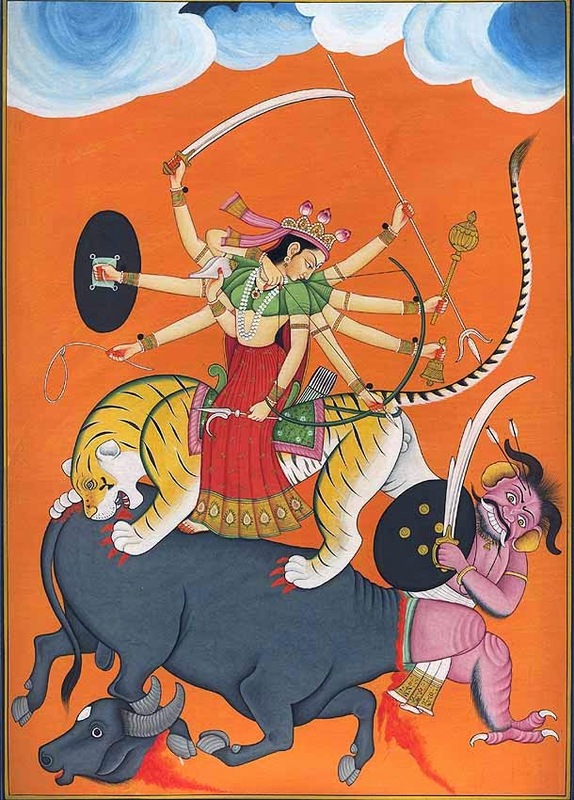 Last time we read about the female Ganesha. On the final day of Ganapati’s earthly visit, let us look at a ‘foreign’ Ganapati! 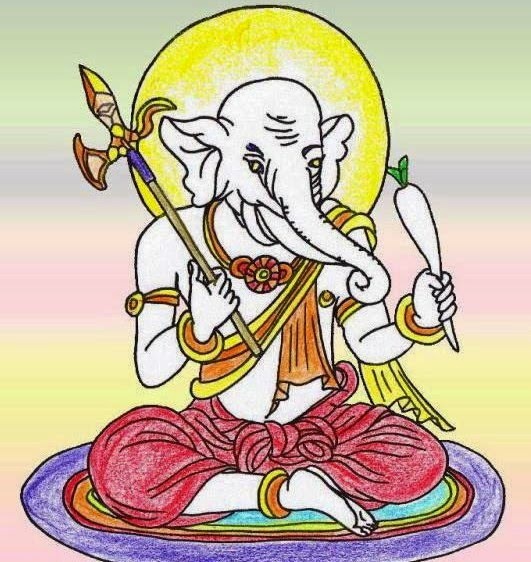 Today, we will discuss the Japanese Ganapati, who is better known as Kangiten. Besides Kangiten, which means the God of Bliss, he is also called Shoten, i.e. a sacred god, or Binayaka (from Vinayaka), amongst other names. 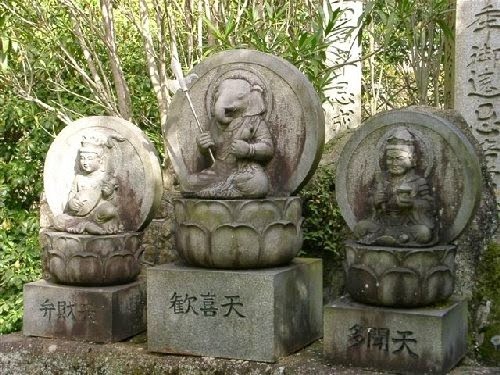 It is interesting to note that according to the Japanese, Binayaka is the creator of obstacles, and that is why he needs to be propitiated, unlike the Indian Ganesha, who is the remover of obstacles, Vighnaharta. However, one (probably pre-puranic) version considers the Indian Ganesha to be a threshold deity, who had to be propitiated at thresholds, like borders of villages, etc. to ensure that the commuters were not harassed for anything. This was considered to be one of the main reasons why Ganesha was propitiated before beginning anything, from travel to events to rituals. This theory has now been overlooked in view of the more sanitised version of the modern day Ganesha, being worshiped first due to a boon by Lord Shiva! According to an ancient Japanese text, Subako-Doji-Shoman-Kyo, the Binayakas were known to create serious obstacles for the ascetics who tried to devote their lives to religion and religious practices. According to the text, Binayaka was known to create loss of sleep in ascetics, appearing in different evil forms and naked figures, skulls and bones in the dreams of the ascetics. All these were considered to be different forms of Binayakas which tried to disturb them and create obstacles for those who were trying to follow the religious path. have traveled from India to China where it became part of the Buddhist pantheon and then traveled further to Japan, where it gained prominence, as Binayaka. The most important form of this deity is the dual-Binayaka or the Embracing Kangiten, where both male and female forms are seen embracing each other. There are different legends to explain the embracing Binayaka’s. Let us look at some of them. According to one legend, a 17th century monk by the name of Kozam Tanki, couldn’t attain the ultimate truth, in spite of severe austerities. He then started praying to Shoten and uttered his mantra 18000 times a day. He had a dream, where he found himself pouring oil over a statue. He then saw himself taking bath, purifying himself and entering into a chamber which was decorated with jewels, with an altar on which was placed an idol of the embracing deities. A female deity appeared there and explained to him the two embracing deities were none other than the sun-goddess and the god Isangi. Later the monk devoted his life in the worship of the embracing Binayaka’s. According to another version, the King of Marakeira had an odd habit of eating only beef and radish and that too in very large quantities. Soon the population of cattle diminished in the kingdom, and so he took to eating human flesh and reached a stage where he could not spare even dead bodies. Seeing this people were terrified, and together with the soldiers attacked the king who fled into the skies. In the absence of the king, there were calamities and epidemics which were the doings of the Binayaka. The people prayed to Kannon (Avalokiteswara, a Bodhisatva), the eleven-faced deity, to save them from the predicament. Kannon disguised as a female Binayaka, seduced the King and brought him to mend his ways and the embracing Binayakas are the representation of the King and Kannon. Another version says that Daijizai-ten (Mahesvara) and his wife Uma had three thousand children, half of which were benevolent and were under the command of his son, Senanayaka (Kartikeya) and the other half were wicked under the command of Binayaka. 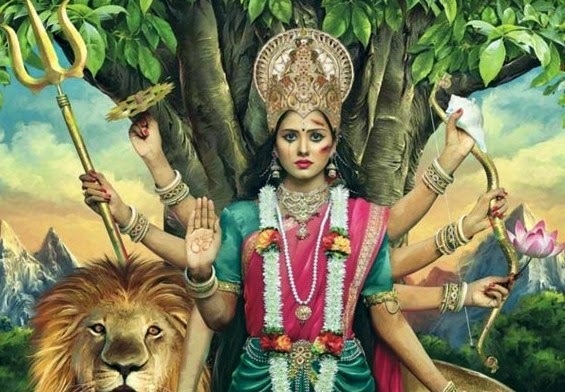 The people were tired of the troubles by the Binayakas and prayed to Kannon, who then took the form of a woman and aroused the passion in Binayaka and convinced him to follow the righteous path. A slight variation to the above says that Senanayaka was born as a female child and was an incarnation of Kannon. She managed to pacify the agitated mind of Binayaka by her pleasing habits. The two of them ultimately unite as a brother-sister couple to give rise to the twin Binayaka form. One of the most famous temples of Kangiten is the temple of Hozan-ji in Japan. He is regarded as the protector of temples and amongst the offerings made to the deity are radishes and rice-wine (sake). It is important to mention that there is a strong sexual-connotation to the embracing deity, even though we have seen in the last instant as the couple being brother-sister. This sexual connotation was during the tantric influence in Buddhism. However, with rise of the Confusion philosophy, the idols or the statues of the embracing Binayakas were kept behind closed doors or were kept under linga-kosa or phallic covers. The worship didn’t quite cease and it is said that women bow to such idols to seek blessings of children from them, while geishas seek the blessings of active flow of clients at their place! Legends apart, an interesting metamorphosis of one of the most popular and favoured god of the Hindu pantheon. NB. Some references have been taken from ‘Ganesha – The Remover of Obstacles’ by Shantilal Nagar.